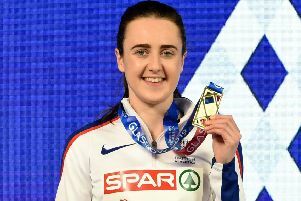 Eilidh Doyle has been named as Scotland’s flag bearer for Wednesday’s 2018 Commonwealth Games opening ceremony on Australia’s Gold Coast. The 31-year-old from Perth has captained the Great Britain athletics team previously and won Olympic bronze in the women’s 4x400 metres relay in Rio. She is three times a World Championships medallist in the same event and won the European 400m hurdles title in 2014. She has twice claimed silver medals at the Commonwealth Games in the hurdles. Doyle said: “This is just such a huge honour. I was really chuffed to have been nominated but to actually be voted to carry the flag is something else.